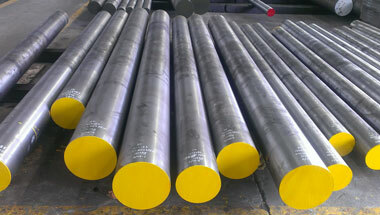 Inconel Alloy 825 Round Bars & Rods Manufacturer, Incoloy 825 Round Rods Supplier & Exporter in India. Manufacturer & Exporter of Inconel Alloy 825 Round Bars & Rods, Alloy UNS N08825 Hex Bars, Incoloy 825 Square Bars & Alloy 825 Round Rods Supplier in India. As a recognized company, we Neon Alloys are Manufacturing and Exporting a huge assortment of Inconel 825 Round Bar to our respected clients. Our offered round bar is amazingly processed using only finest nickel and latest machinery in accordance with market standards. Inconel rods have excellent mechanical properties and provide good resistance to oxidation. The offered Inconel 825 round bars are severely inspected on quality parameters by our quality department. Inconel 825 bars manufactured from quality raw material, these Inconel round bars are known for its unique features such as tight tolerance, smooth surface and uniform, Non-magnetic, Excellent mechanical properties, High strength, Good workability, readily weld ability. Our Inconel 825 Round bars & rods are used extensively in various industrial applications industries ranging from basic industries such as Sugar, Paper, Textile, Dairy, and Engineering to more complexes such as Oil & Gas, Petrochemical, Chemical & Fertilizers, Power Generation and Nuclear Industries etc. Inconel Alloy 825 Rods, Inconel Werkstoff Nr 2.4858 Round Bars, Inconel 825 Round Rods, Inconel Alloy 825 Hexagonal Bars, Alloy 825 Bright Bars Supplier & Incoloy 825 Bars Exporter in India. Morocco, Russia, Kuwait, Azerbaijan, Ethiopa, Iran, Mexico, Australia, Venezuela, New Zealand, Turkey, Sudan, Vietnam, Germany, Bahrain, Algeria, Trinidad and Tobago, Israel, UK, United States, Mozambique, UAE, Houston, Democratic Republic of the Congo, Saudi Arabia, Peru, Italy, Iraq, Colombia, Kazakhstan, Egypt, Chine, Cameroon, Dubai, Africa, Indonesia, Brazil, Ghana, Sri Lanka, Uganda, Thailand (Bangkok), London, Nigeria, Canada, Malaysia, Angola, Tunisia, South Africa, Jordan, Argentina. Kampala, Tripoli, Zaria, Lusaka, Conakry, Lagos, Bamako, Bethlehem, Cairo, Abu Dhabi, Mbuji-Mayi, Beirut, Sharm el-Sheikh, Benin, Byblos, Tel Aviv, Dakar, Soweto, Fez, Port Elizabeth, Ibadan, Subra al-Haymah, Singapore, Mecca, Tehran, Jeddah, Maiduguri, Antananarivo, Cape Town, Alexandria, Harare, Freetown, Manama, Kano, Data from the UN, Dar es Salaam, Dubai, Cairo, Kinshasa, Nairobi, Maputo, Port Harcourt, Riyadh, Johannesburg, Kaduna, Bulawayo, Addis Ababa, Khartoum, Doha, Yaoundé, Amman, Kolwezi, Giza, Casablanca, New York, Istanbul, Mogadishu, Algiers, Ouagadougou, Dammam, Aqaba, Rabat, Lubumbashi, Pretoria, Abidjan, Hong Kong, Colombo, Jerusalem, Luanda, Durban, Muscat, Douala, Accra, Brazzaville, Omdurman.